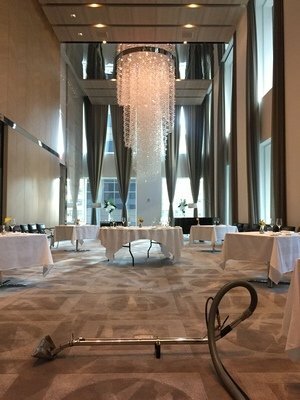 Professional carpet cleaning is achieved through various methods. Our professionals get to the root of the fibers to break down dirt, debris and allergens, making your carpets cleaner and healthier. Carpet manufacturers recommend Hot Water Extraction to dislodge soil and effectively clean a carpet’s individual fibers. 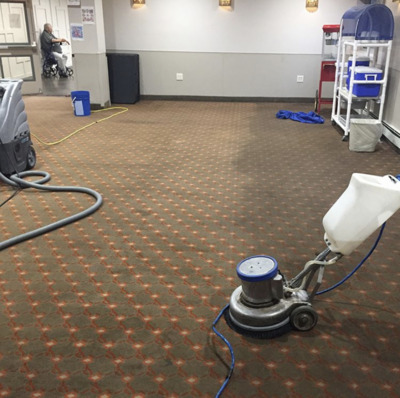 Our hot water extraction method uses special equipment to spray hot water and detergent onto the carpet. Upon extraction of the hot water, dirt will become dislodged along with the detergent, leaving the carpet free of stains and lingering dirt particles. This processes differs from what people refer to as “steam cleaning”. Using steam to clean carpets can actually damage the fibers and change the way a carpet looks or feels. Woven carpets can shrink if exposed to steam and berber carpets can become pilly. We make sure to avoid this problem by choosing the right method, specific to your carpet’s needs. Our hot water extraction service simply requires access to an electrical outlet, that is all we need from you! 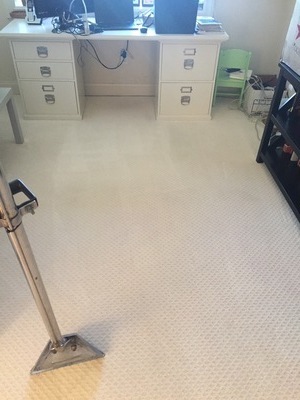 Our process involves a few steps to get your carpet looking fresh and clean. We start with a preconditioning solution and agitate the carpet to get deep into the fibers. The we rinse out the preconditioning agent and get ready for the next step. This part of the process is extremely important and we take great care to make sure it is done right! Since this method uses more water than bonnet or shampooing, ventilation is very important for afterward. The use of fans or dehumidifiers is helpful to speed up drying. 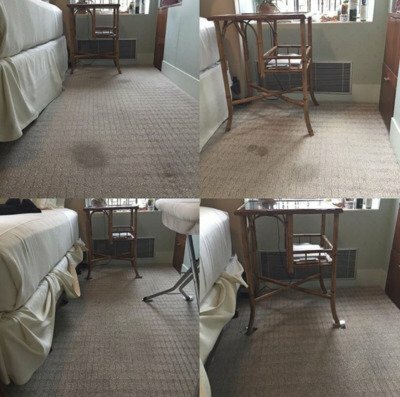 If you are looking for a solution to remedy your soiled carpet with rapid drying times, we offer dry-cleaning solutions as well! Our dry-cleaning systems put less stress on your carpets and are sure to guarantee amazing results. This systems differs in that it uses much less moisture and will continue to keep your carpet looking cleaner longer than other methods. Reason being is that the dry agents used do not attract more dirt, as is the case with dried shampoo. This process is more time consuming, but well worth the investment. Encapsulation is the process if isolating oily dirt molecules and separating them so they can no longer attract other molecules. I know it sounds scientific, but trust me, this is the crème de la crème of carpet cleaning. After we have separated these nasty dirt particles, they can be easily vacuumed up. What’s really cool about this method is that it actually slows down the ability for a carpet to accumulate more dirt, yay! 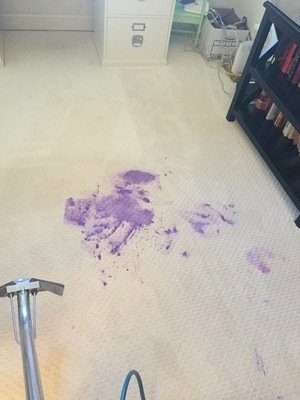 While we do offer shampoo carpet cleaning, our other methods are preferable for getting your carpet clean and continuing to stay that way. Shampooing was all the rage back in the day, but now it’s a little outdated. We will only shampoo if a customer specifically requests the process, but our expert opinion says choose another method. 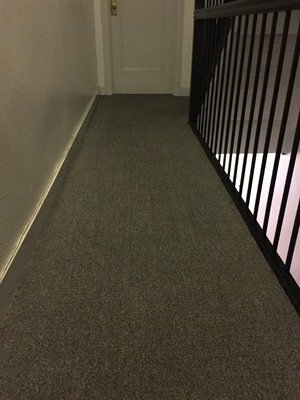 Our dry foam method is used specifically for water-sensitive carpets and other carpets where it is difficult to extract water. Since this solution is only 10% water, it is a better way to deal with carpets that need special treatment. Don’t worry, we know which carpets work best with each method, so leave the decisions to us!